When somebody uses the “d” word, do you mentally shudder and draw back? Talking about discipling others can do that to Christians. We’re happily involved in church and Bible studies, but it’s unnerving to share Christ with people or mentor new believers. We’d rather leave that to the gung-ho types. At last, there’s a personal ministry book that anybody can use. It’s a practical, friendly, workable guide to everything you need to know about discipling without terrifying you or those you want to reach. You could think of it as a “discipleship for dummies” book. It breaks out discipling into simple, manageable steps, based firmly on biblical principles about reaching your world for Christ. 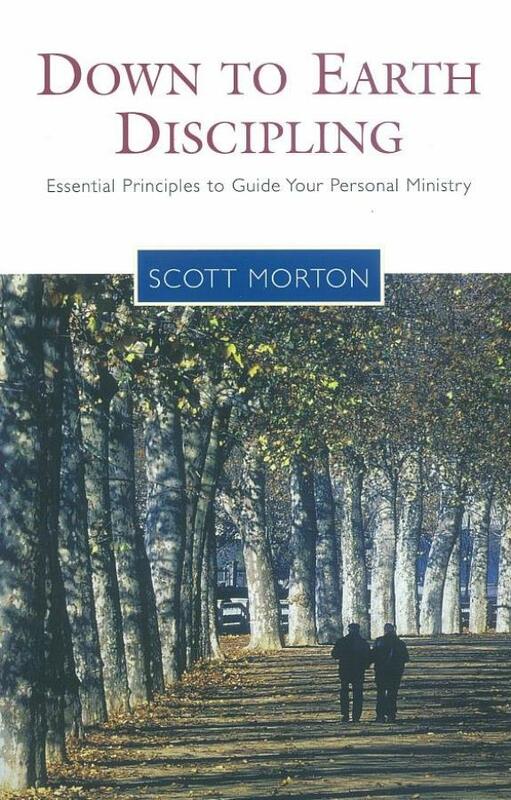 “God can use anybody with a willing heart,” says author Scott Morton, who describes himself as “not gifted” in discipling but has learned from his mistakes. Forged through experience, his realistic approach will inspire you to develop enduring relationships-the kind that touch people’s deep needs and make a one-to-one difference. So don’t be reluctant, scared, or worried about discipling. Just be a down-to-earth discipler. It works.